to concentrate while studying for finals or a crowd-pleaser playlist for that end-of-semester party? Need a great binge-worthy series for winter break like Cobra Kai or Origin? Could you use a physics boost from astrophysicist and former MIT professor Walter Lewin? We’ve got you covered! 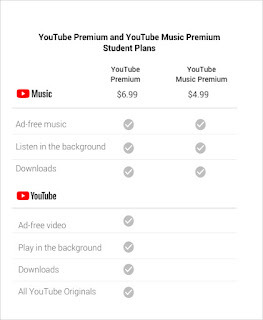 Last year, we introduced the new YouTube Music and YouTube Premium subscription plans to help users get more from their YouTube experience. YouTube Music is a new music streaming service with official albums, playlists and singles, as well as a vast catalog of music videos, remixes, live performances, covers and more — all with ad-free, background and offline access. YouTube Premium extends that ad-free experience across all of YouTube, and includes access to YouTube Originals. 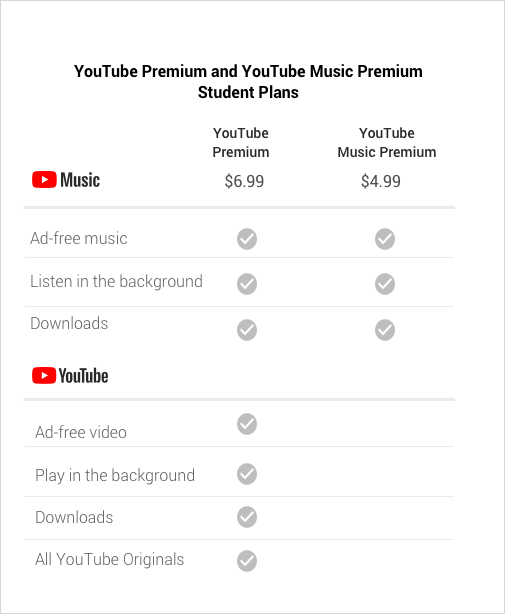 Student plans are available for YouTube Music Premium for $4.99 and YouTube Premium for $6.99. Student plans are currently available to all full-time students at an accredited college or university in Canada. Click here to learn more about eligibility requirements. You may have been in a situation where you see an incoming call but you don’t recognize the number. If you’re like me, I pretty much don’t answer these any more as I worry they will be spam. However, that also means you can miss legitimate callers like your kid’s daycare, realtor, or your bank. Starting today, Canadians with a Pixel can now opt in to the Call Screen beta, a new feature that gives you help from the Google Assistant to find out who's calling and why. To use Call Screen, when you get an incoming call, just hit the “Screen call” button and the Google Assistant will help you get answers to specific questions like who's calling, why and more. You'll see a transcript of the caller's responses in real-time, and then you can decide whether to pick up, respond by tapping quick replies like “I’ll call you back later,” hang up, or mark the call as spam. Call Screen is a feature on Pixel devices powered by the Google Assistant to make life easier and simpler. Like many AI-powered features on Pixel, including camera features and our music feature Now Playing which helps your discover new music playing around you, Call Screen processes call details on-device, which means these experiences are fast, private to you, and use up less battery. Select Canadian Pixel 2 and Pixel 3 owners will receive an email today with instructions on how to opt in to the Call Screen beta. 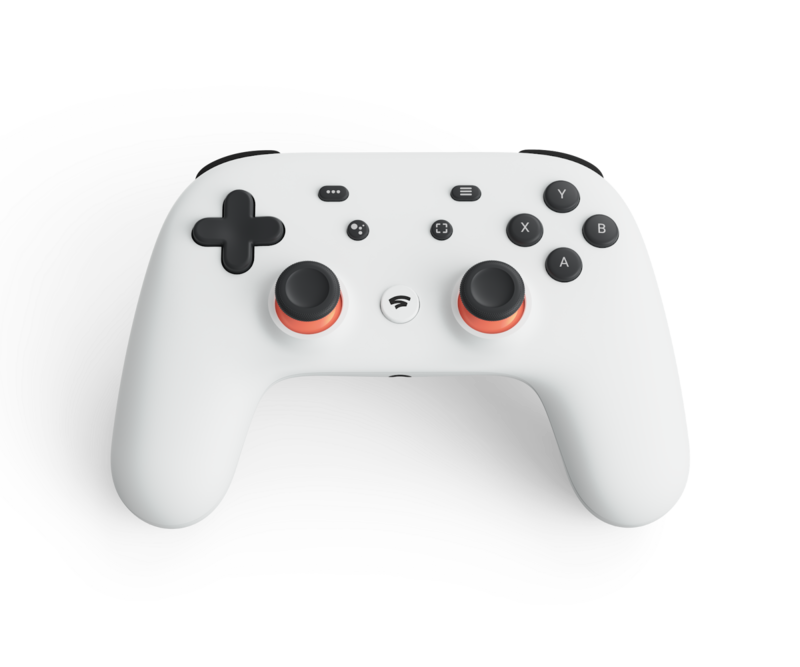 All Pixel users can opt in to the beta here. Call Screen is currently available in English only. Tap on any event you’re interested in and you’ll get an overview of things like time, location, ticketing providers, and other information that will help you decide whether to attend. If you’re ready to take the plunge, you can follow the links to buy tickets from the provider of your choice. If you’re still deciding, you can head to the event webpages for more information. Save events or share them with others and plan as you go. To discover events based on your interests, you can tap the “For You” tab to get personalized ideas for things to do near you. You’ll see trending and popular events in your area to keep you in the loop on the hottest happenings. And you’ll find events from across the web--from meetup and concert sites to individual event listings from organizations and brands you love. If you’re an event provider, follow these guidelines to mark up your event listings to appear in this experience and ensure your events are discoverable. Try it out today to find the perfect dog meetup, local festival or must-see event to keep the kids busy over March Break! If you’re on the hunt for activities to fill your winter - or March Break - calendar, we’re making it even easier to find events in Search. Starting today, when you search on your phone for things like “events near me” or “concerts” in Canada, you’ll not only find a list of events from a variety of sites, but also key information about the event, right on Search! skated into Canadian hearts and the Olympic record books in Pyeongchang. We asked Google "How to make a fascinator?" as we watched Prince Harry and Meghan Markle tie the knot. We wanted to know "How to donate?" when the Humboldt Broncos bus tragedy shook the nation. Through the highs and the lows, people came to Search in 2018 to learn more, and to understand. Sports dominated Canada’s Year in Search in 2018. Global competitions brought the world - and Canada together - as we turned to Google for updates on the World Cup and the Winter Olympics. Canada’s enduring love of all things hockey was reflected as searches for the Winnipeg Jets spiked across the country during their playoff run. And the will he? / won’t he? contract saga of William Nylander helped land the young Toronto Maple Leafs among the top trending athletes of the year. In entertainment, Black Panther pounced on the box office and Google search activity, while the release of Bohemian Rhapsody sent Canadians searching for footage of 1985’s Live Aid concert and Queen frontman Freddie Mercury. Meanwhile, the top trending Canadian in this year’s list of musicians was Quebecois singer Hubert Lenoir who was shortlisted for the Polaris Music Prize. From the heartbreak of losing Anthony Bourdain and Kate Spade to the heroes of the cave rescue in Thailand, the 2018 Year in Search reflects back to Canadians another eventful twelve months through the lens of Google Search. So, before we jump into another year, take a moment to look back at the searches that captured our attention and our hearts in 2018. We searched to cheer. We searched to celebrate. We searched to give back. In 2018, Canadians searched for updates from half a world away as Tessa and Scott skated into Canadian hearts and the Olympic record books in Pyeongchang. We asked Google "How to make a fascinator?" as we watched Prince Harry and Meghan Markle tie the knot. We wanted to know "How to donate?" when the Humboldt Broncos bus tragedy shook the nation. Through the highs and the lows, people came to Search in 2018 to learn more, and to understand. 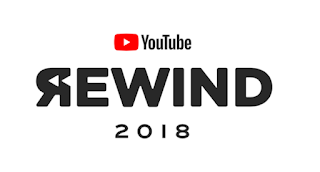 Surprise, baby - it’s YouTube Rewind 2018! This year, we danced our hearts out to Drake, yodeled in Walmart, and played a lot of Fortnite. As we prepare to head into 2019, it's time for our annual look back at the year that was on YouTube. 2018 was marked by surprising celebrity moments. In February, Kylie Jenner surprised the world with To Our Daughter, an 11-minute film detailing her pregnancy and the birth of baby Stormi, which was watched over 53 million times on its way to becoming YouTube's global #1 Top Trending Video of 2018. Will Smith vlogged all over the world. Oh, and he also jumped out of a helicopter over the Grand Canyon on a dare. Rihanna started her own makeup tutorial series. And of course, Beyoncé's livestream from Coachella gave fans a front-row seat for #Beychella. Canadian creators were front and centre on our list of the Top Trending Videos in Canada - AsapSCIENCE once again solved the internet’s latest mystery -- seriously, is it Yanny or Laurel?, Ryan Reynolds took a DIY approach to marketing Deadpool 2, and the EhBee Family showed off some serious Fortnite dance moves. We cried along with YouTube’s “Brad and Angelina” as Liza Koshy and David Dobrik shared the news of their breakup, we celebrated with Meghan and Harry on their wedding day, and we cheered on Rocket Man as he blasted into space. On the music side, the year mostly belonged to two artists. One gave away nearly $1M in his video, the other got down in living colour with Bruno Mars. That’s right - Drake and Cardi B ruled Canada’s earbuds in 2018, both appearing on our list of the top videos multiple times. 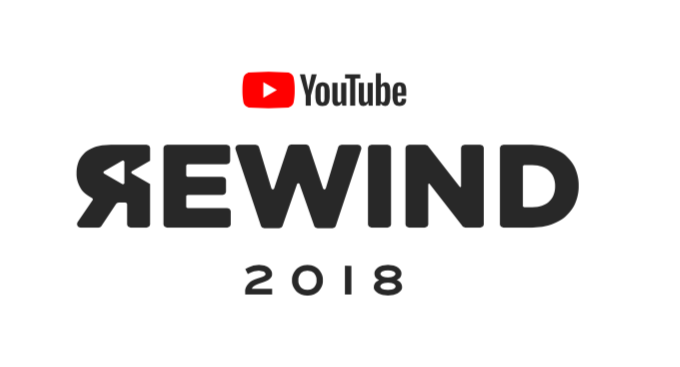 Check out the Rewind site to get to know the creators and artists who shaped popular culture in 2018!